NIWOT, Colo.–(BUSINESS WIRE)–Crocs, Inc. (NASDAQ: CROX), a global leader in innovative casual footwear for women, men and children, today announced that it has partnered with Susan G. Komen®, the world’s leading breast cancer organization, to support its fight to save lives through a new, limited edition collection launching in time for National Breast Cancer Awareness month. On Oct. 1, 2018, Crocs will launch a new, limited edition collection throughout the United States, including its territories, featuring Susan G. Komen’s iconic pink Running Ribbon. The special Komen edition Classic Clog (US MSRP of $49.99) and Jibbitz charm (US MSRP of $1.99) will be available on crocs.com and at select stores and will expand to two additional styles for the Spring/Summer 2019 season. 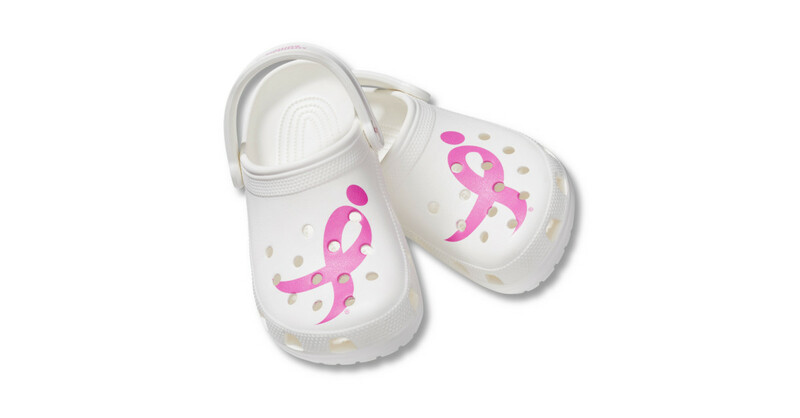 Crocs will donate to Susan G. Komen $3 for each pair of Komen-licensed Classic Clogs and $0.25 for each Komen-licensed Jibbitz charm sold from Oct. 1, 2018 to Nov. 30, 2019 in connection with the Crocs Promotion, with a guaranteed minimum donation of $50,000. The Running Ribbon included on these limited-edition products is a registered trademark of Susan G. Komen. Susan G. Komen is the world’s largest breast cancer organization, funding more breast cancer research than any other nonprofit outside of the federal government while providing real-time help to those facing the disease. Komen has set a Bold Goal to reduce the current number of breast cancer deaths by 50 percent in the U.S. by 2026. Since its founding in 1982, Komen has funded more than $956 million in research and provided more than $2.1 billion in funding to screening, education, treatment and psychosocial support programs serving millions of people in more than 60 countries worldwide. Komen was founded by Nancy G. Brinker, who promised her sister, Susan G. Komen, that she would end the disease that claimed Suzy’s life. That promise has become Komen’s promise to all people facing breast cancer. Visit komen.org or call 1-877 GO KOMEN. Connect with us on social at ww5.komen.org/social.